I am very excited that I finally finished the first Unit study Guide for American Girl - Kirsten to share with everyone. 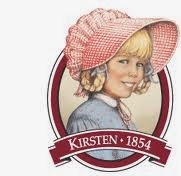 This reading comprehension activity is for Book 3 in the Kirsten series. You can see all our American Girl Guides by visiting our American Girl Page.